Marvel's latest superhero movie is the sequel to The Avengers, this time they are fighting hundreds upon hundreds of robots in The Avengers: Age of Ultron. The movie starts beautifully, with a very action packed sequence and a gorgeous shot of all avengers fighting together. They seem very in sync and almost enjoying it a little too much with their off topic dialogue and jokes about how easy their opponents are. 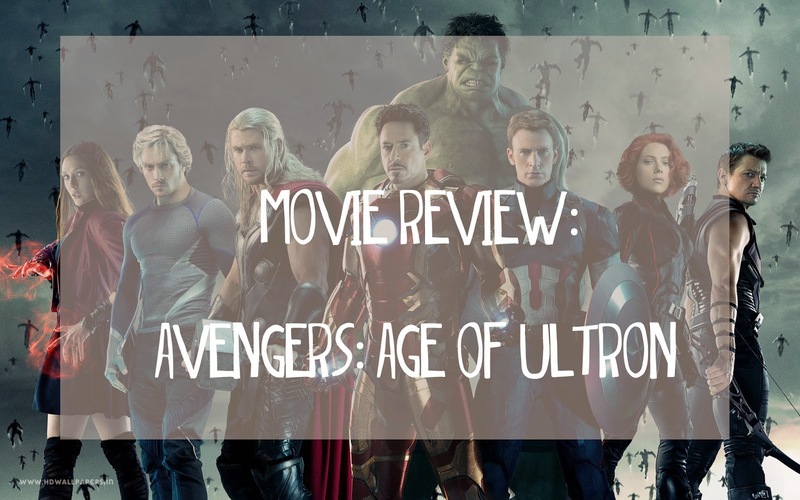 This carries on for most of the movie, even after Tony Stark and Bruce Banner create Ultron, a peace keeping program which turns hostile and makes a robotic army, the Avengers don't seem to have much of a hard time fighting this villainous army. The movie has some darker sides, for example you get to see some interesting back story into Black Widow's dark history when new arrival Scarlett Witch puts spells on all the Avengers to try to break them down from the inside out. Overall, I did really enjoy the movie. It's a fun watch and you know what's coming, who is who and their stories so now it feels like they are your friends well. It had some really well done action sequences, it was funny and I think I enjoyed it more than the first movie. Plus, Thor is as gorgeous as ever.